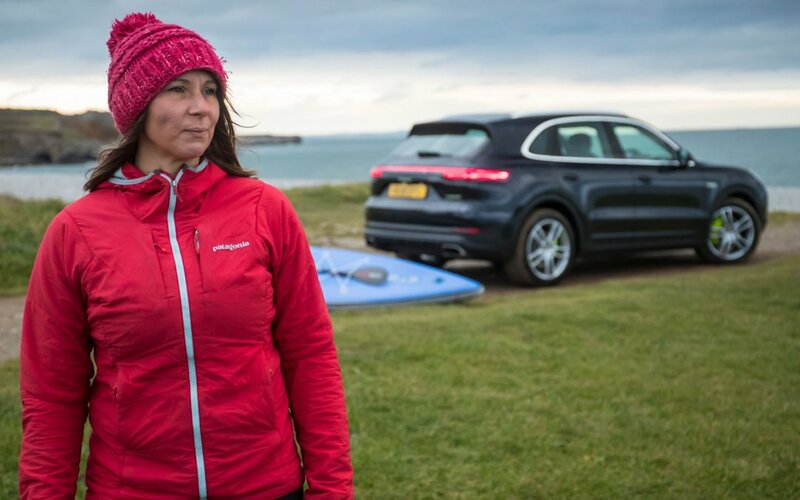 On the road with Starboard Ocean Ambassador Sian Sykes and Porsche’s Cayenne E-Hybrid. Just like over here at Starboard, sustainable development is a key element of the Porsche business plan. Eager to reduce its global CO2 emissions, several environmental schemes are gaining ground and while the company’s sales grow, so do its green credentials. This year, the first fully electric Porsche will roll off the production line after a six billion Euro investment. The zero-emission Taycan will be produced in a CO2-neutral factory, powered either by energy harvested from wind, water or solar sources, biogas or off-set by planting trees and 42,000m2 of green roofing. And while the first electric truck has joined carbon-neutral trains in minimising the inevitable impact of a global manufacturer’s logistics, customers are getting onboard too. The new Porsche Impact app enables individuals to offset their motoring emissions by donating to environmental projects in places such as Vietnam, Mexico and the southern coast of Alaska, a place where waste is washing up on beaches by the ton. Thousands of kilometres away, against a completely different backdrop, the same problem is blighting shorelines from India all the way to the island of Anglesey, off Wales. But the difference here, on this tiny isle, is a woman called Sian Sykes. Six years ago, Sykes – now 39 – was working 18-hour days in London: a career woman with a team of creative media execs under her and a mountainous workload. Within minutes she’s unwrapped and inflated a 12’ 6” paddleboard and after tucking her keys into a dry bag, is pacing towards a pebbly beach, board under her arm. She wades out into icy water and with one swift move is standing upright on her board, confidently pushing herself out to sea with a single paddle. An hour later, having disappeared from view, she returns with her bag balancing between her feet. As she dismounts and carries her paddleboard onto dry land, she opens the sack to reveal the contents: five discarded drinks bottles, several scraps of polystyrene, and various plastic pieces of undecipherable origin. With her paddleboard deflated and packed back into the boot, she drives a few miles along the coast. The Cayenne E-Hybrid combines a 3.0-litre V6 engine with an electric motor to generate a total of 340kW (462 hp; Fuel consumption combined 3.4 – 3.2 l/100 km; CO2emissions 78 – 72 g/km; energy consumption: 20.9 – 20.6 kWh/100 km), 700Nm of torque and the same boost strategy as the 918 Spyder. But Sykes engages electric mode and smiles as she notes the stats displaying on the dashboard. As the roads narrow, the agile Cayenne winds along the coastline under threatening skies before coming to a stop beside a deserted stretch of beach. Eyeing the dark clouds that are rolling in towards her, Sykes jumps out and crouches by a tangle of plastic twine on the ground. So, in 2018, Sykes decided to get people’s attention. 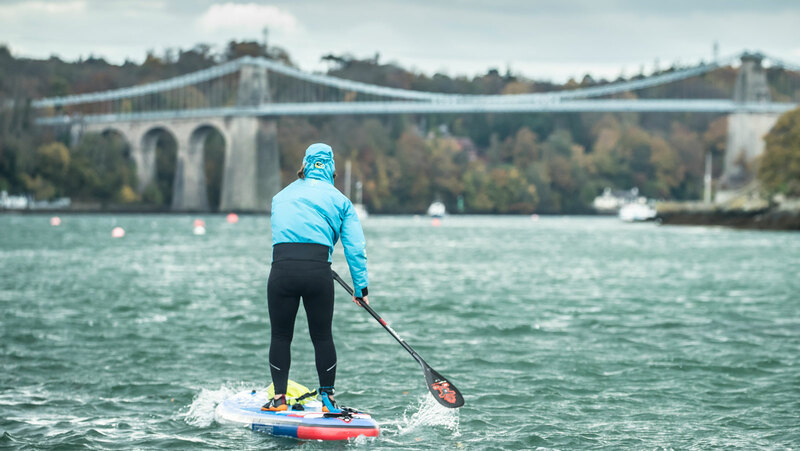 Armed with everything she might need in two expedition bags and with a GPS tracker keeping the coastguard in the loop, she set off on a challenging 60-day journey, circumnavigating the whole of Wales on her stand-up paddleboard. 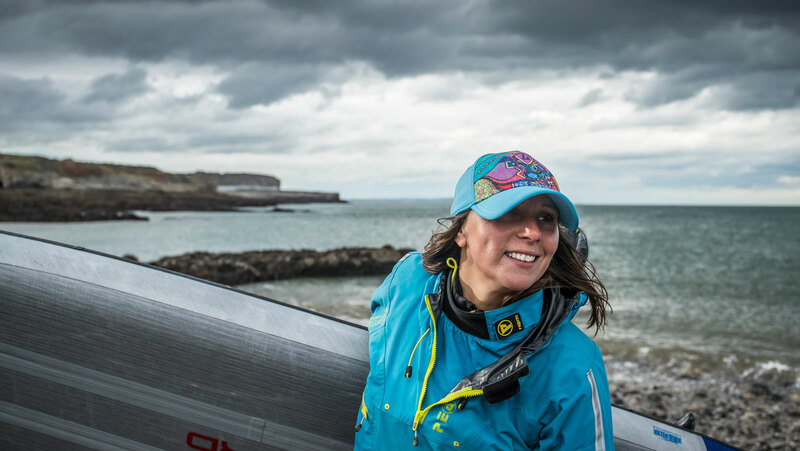 Solo, unsupported and in all weather, she propelled her way along rivers and canals, walking on foot between stretches of water until she reached the Severn Estuary and ventured out to sea. 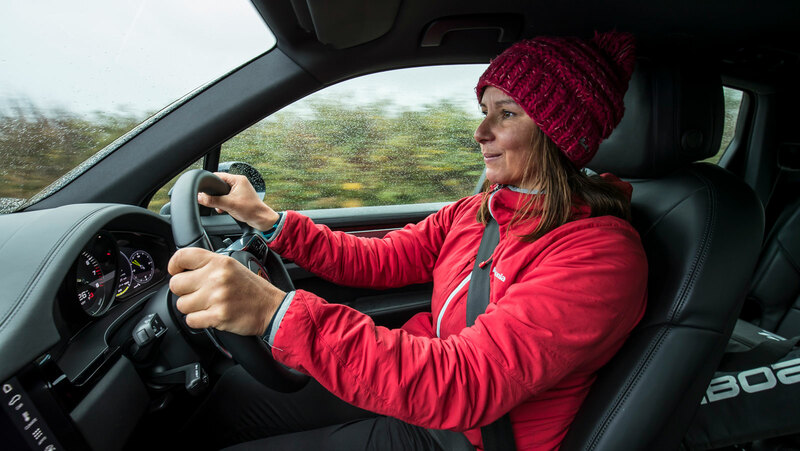 In total, she covered 1,000 km, fuelled by a steely determination to raise awareness of “our throw-away society” as well as money for charities that work to clean up the coastline. Her plan worked – Sykes and her paddleboard made headline news. People pledged to support her work. 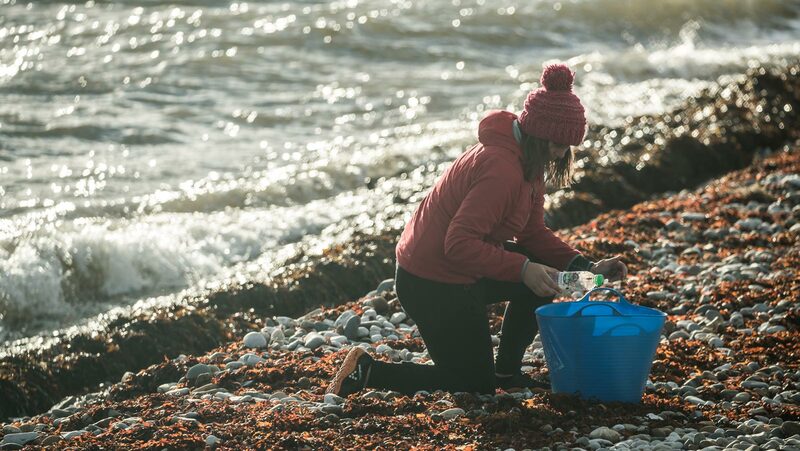 But back on the beach on Anglesey, as she picks up another plastic bottle, she says more needs to be done. Her phone rings and she breaks off to answer. A global news channel wants to interview her live on the radio about what individuals can do to live greener. While Sykes prepares to broadcast her message to the nation, across in Stuttgart, hundreds of kilometres from the nearest beach, Porsche has just announced the 718 Cayman GT4 Clubsport. It features body parts made from natural-fibre composite materials that are similar to carbon fibre, in terms of stiffness and weight saving.